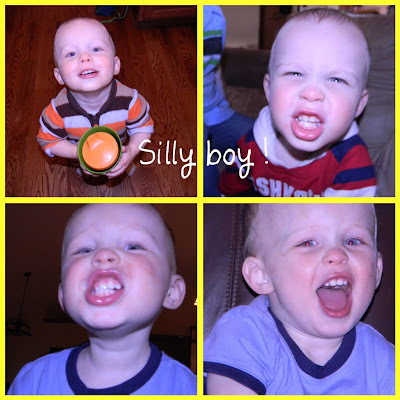 Four years ago Aaron and I were blessed to become parents for the first time! 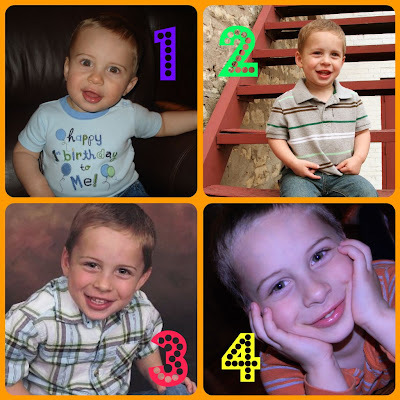 I can't believe our baby is turning 4 today! Eli is one of the best blessings we could have ever asked for! He LOVES to play outside! He has such an imagination! He can play by himself for hours! I love listening to him play! He loves his baby brother and usually so good to him! He has a kind heart and a loving spirit! He is smart and loves to ask questions to find out more! He loves to spend time with his grandparents and is completely spoiled by all of them! He is loved by so many and we are truly grateful for that! Happy Birthday sweet boy! We love you so much! So, what do you think his brother picks up on? This year we decided to have Eli's party with just his friends! He said; "Only boys can come Mom." 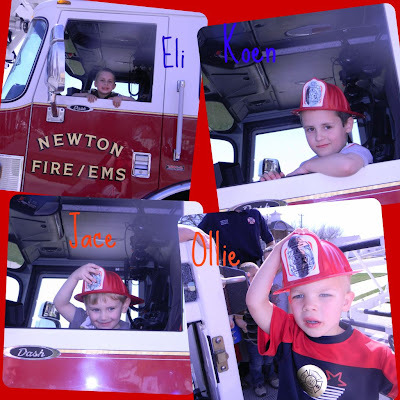 We had it at one of Eli's favorite places, the fire station! Spiderman came to the firestation! After cupcakes, ice cream and openning presents we toured the station and headed outside to see the ladder truck! It was so much fun to celebrate Eli's birthday this way! I'm not sure that he realizes he hasn't actually had his birthday yet! !